The Moreno Pocket spring mattress from Hush a Bye offers a slightly firmer feel than the pashmina as the Moreno has 1400 pocketed springs in a king size mattress along with pure new wool filling. 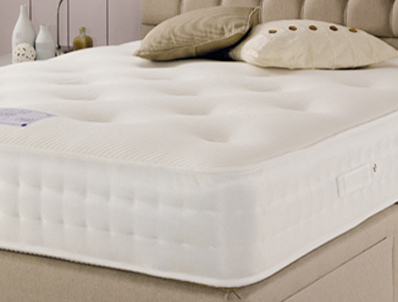 The Moreno mattress is covered with a soft knit stretch fabric on the sleeping sides of this fully turnable mattress and has handles to help with turning. It is fully turnable and is available in regular (medium tension) but has a medium to firm feel.